National Taiwan Democracy Memorial Hall. Some tried talking us out of going. “Why would you want to go there? What’s there to see?” Two of my Taiwanese-Australian colleagues even laughed. And after waiting in the winter chill outside Taoyuan International Airport for the 5:30am shuttle to Taipei, then enduring four days of relentless rain and gloomy weather and developing a head cold, I started to worry they may have had a point. 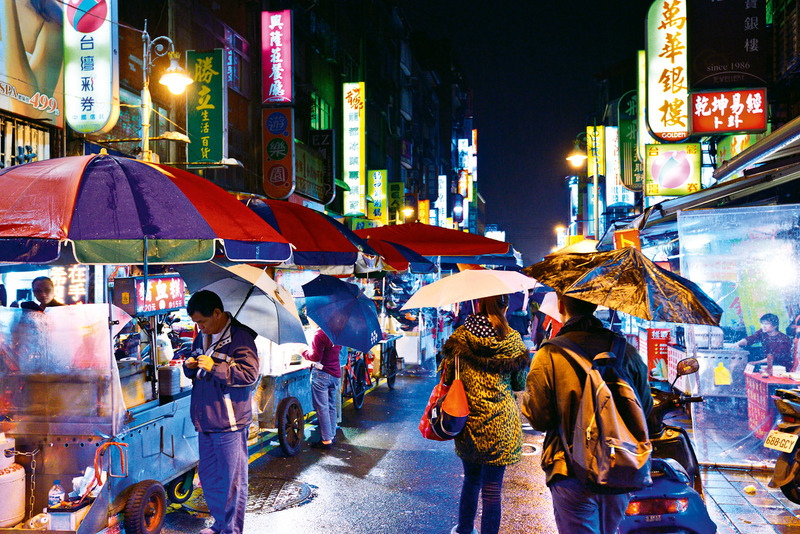 Unlike some world cities that are spontaneously charming, Taipei refused to draw excitable gasps from us. There was the language barrier; apart from the night markets, it seemed a lot of the restaurant food was from neighbouring cuisines or was westernised; and some of the service had been sullen, if not brusque. I was struggling to get a sense of Taiwan; she wasn’t playing nice. The a-ha moment came at the National Palace Museum. In front of floor-to-ceiling landscape scrolls, our volunteer guide Jerri explained the difference between Chinese and western depictions of perspective. Chinese painting stacks the various vistas upward and in one plane, with no difference in size. Distance and depth are suggested through the further views becoming fainter, whereas western perspective relies on the abstract notion of vanishing points. What was a traditional norm in one culture was alien to another. I needed to change my viewpoint. Without knowing it, Jerri provided me with more insight. Born in Manila to Chinese parents and educated in the US, Jerri had moved to Taipei to pursue a corporate career but quit to establish a cupcake business, Ginjer, using her mum’s old recipes. What would have been obvious back home in Australia was not even a consideration here. Her passion, it seems, lays in Chinese history and culture, which had prompted her to enlist in the three-month training course for volunteer guides at the museum. She articulated jaw-dropping facts and figures about Chinese dynasties and the collection, but I was more taken by her pride in sharing her heritage. On the high-speed train to Tainan, we cheered a little as we finally caught glimpses of the sun. 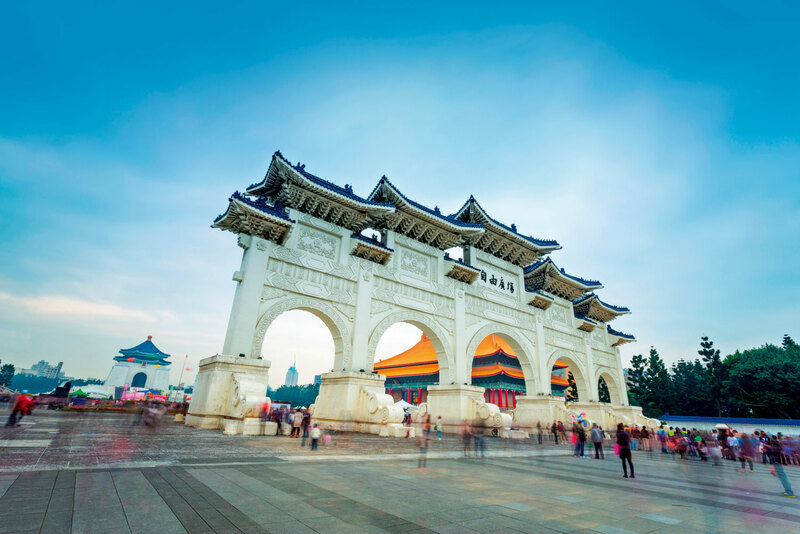 Located on the south-west coast, the former capital city ranks as Taiwan’s cultural centre. An exhibition panel at the National Museum of Taiwan Literature spelt it out: “Taiwan’s heart beats with the incalculable joys, sorrows, loves and disappointments of its many groups. Authors of different ethnic backgrounds and experiences have, through the generations, invested their talents to sense and put into words the pulse that defines their place and time. Themes of discord and reconciliation hold prominent places in their work, highlighting Taiwan literature’s richness and ageless relevance”. 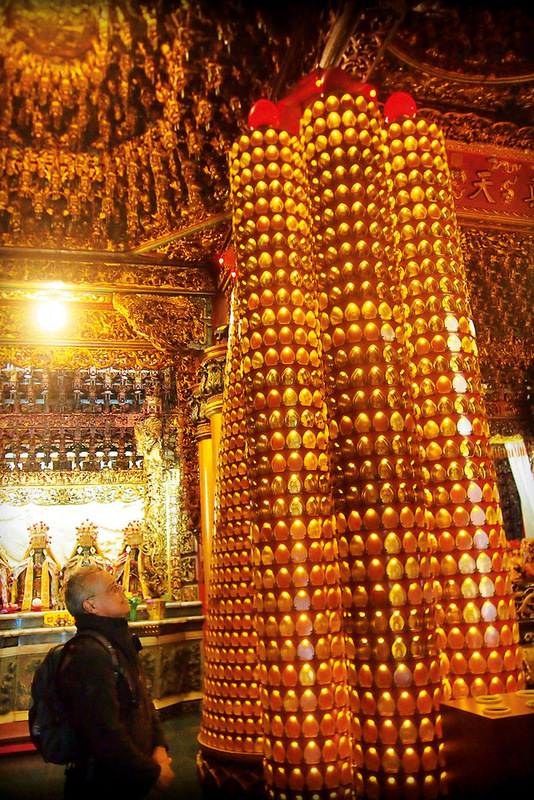 At the Tianhou Temple in Tainan’s historic Anping district, I was drawn to wooden cylindrical towers adorned with rows of golden lights. Each light housed a tiny paper with handwritten Chinese characters. I learnt that each tower carried a particular significance such as career, health, peace, luck and safety, and worshippers paid for their personal details, or those of their friends and family, to be written on paper, inserted within the light and kept ardent. No candle or globe could be seen; the wishes glowed as if by magic. As we continued around the island, we identified two common threads to our experiences. Firstly, every task, no matter how trifling, is given meticulous planning and concentration by the locals. It seemed natural, not an obligation. Their actions were part of something immeasurable and undefinable; that commanded respect. It is the exact antithesis to the Australian ‘no worries, she’ll be right’ attitude. Taiwan will be right if its people know why, how and when they are supposed to be right. Second is that praise seems to be an unknown cultural quantity; our enthusiastic appreciation was always met with surprise, if not shock. Westerners view the same as a right, not a privilege. Taiwan is no 3D blockbuster. Think art house film instead, perhaps one by Taiwanese expat Ang Lee: layered and at times unsettling, but endearing by subtle increments and generously rewarding. On our last day, as we waited outside our hotel for the airport shuttle, a car drove past bearing large Chinese communist flags and belting out what sounded like communist songs. “They pride themselves on their democracy,” said my companion. Flying home to Sydney on the Taiwanese national carrier, I caught sight of a sticker in the crew’s kitchen. “Speak softly, work gently,” it said. Another truly Taiwanese take on perspective. Bernard Appassamy has won a Sleek Photo Hatchback AW Series daypack valued at $109.